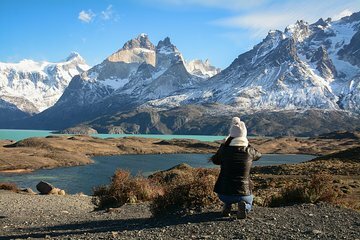 Skip the hassle of renting a car and enjoy a stress-free excursion to Torres del Paine National Park, a great choice for nature lovers and first-time visitors. Enjoy easy transportation through the beautiful Patagonia region and see wildlife, rivers, lakes, glaciers, waterfalls, and the majestic granite towers that give the park its name. Plus, hotel pickup and drop-off in Puerto Natales is included. The Schedules may vary according to weather and physical conditions of the passengers. Children under 5 years old pay 50% of the rate.